Fitness For The Rest of Us: Best Ball Fitness: The BEST Fitness Ball You Have Ever Tried! Best Ball Fitness: The BEST Fitness Ball You Have Ever Tried! 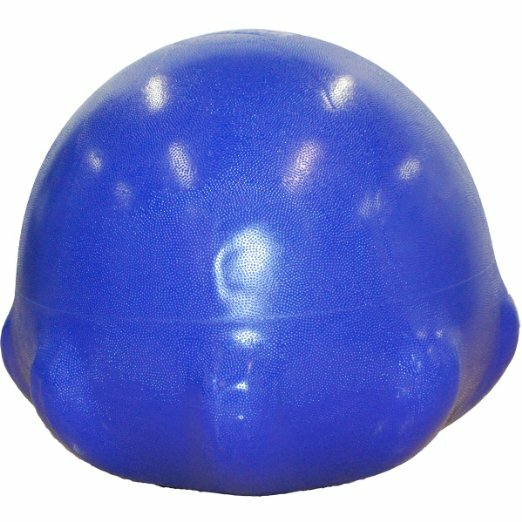 Introducing Best Ball- the super unique must have all new stability ball that will change the way you think about stability balls. It has built in air-filled resistance wings that add stability, while still letting the ball roll during workouts.So you get the strength challenge but with some added support. It is unlike your normal fitness balls, it has built in stability that keeps the ball more stable and controls it from rolling around wildly like your normal fitness balls. Best Ball is perfect for those trying to master a fitness ball, those rehabbing from an injury, a group setting, or anyone that needs some additional balance support. I love that the ball stays put and doesnt go rolling off in the middle of my video unlike all other fitness balls. It rocks but wont run off on you! We all know that stability balls are an amazing tool for improving core muscle strength and functional performance, but if you are worried about the balance challenge you may not be able to take advantage of all they have to offer. The eight resistance wings on the Best Ball cause the center of gravity to be closer to the base which increases stability. Because the wings progressively flair out, resistance increases throughout each exercise as the user literally works uphill while being challenged by the ball's engineered tendency to roll back to its neutral position. And unlike other designs that attempt to address the shortcomings of standard stability balls by eliminating their most important characteristic, the ability to roll, Best Ball is the first device that stabilizes the ball while still allowing it to perform its rolling function. You can use the ball at home, in the gym, or in the office. Best Ball would be the perfect office chair because it will stay by your desk and still provide all of the benefits of using a stability ball as a chair. The material is strong & durable and very high quality. Bring the fun back to fitness without the worry! Best Ball is the new stability ball that is designed to add stability and build resistance throughout the range of motion of each exercise, while adding excitement and variety to exercise programs that emphasize core stability, If you had previously shied away from using a stability ball - you really need to check out Best Ball. Put your fears at bay and give Best Buy a chance. 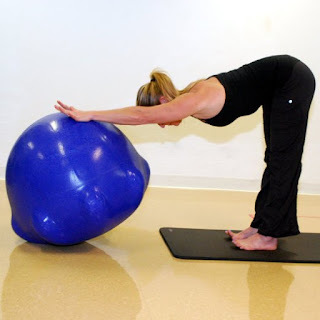 You will rethink your whole stability ball experience and change your fitness world. I love that Best Ball has the best of both worlds - it allows you to challenge your core and muscles while providing you with some balance assistance. The ball will move with you but wont take off on you. You can use it just like you would your normal stability ball - pull it in, push it out, sit on it, use it with any of your favorite videos and get a great core challenge.